الوصف: Christmas Getaway Dress Up Games , Dress this cute girl with seasonal outfits and accessories for a Christmas outing. 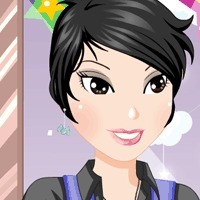 Click to choose make up, hairs, accessories and then click to choose dresses, other things to complete the game. Do not forget to change the background too.